A while ago we made our first portion of lemon curd which we then used for many different things. Most of the lemon curd we used as spread on bread. However, we also used some of it in cakes and pies. 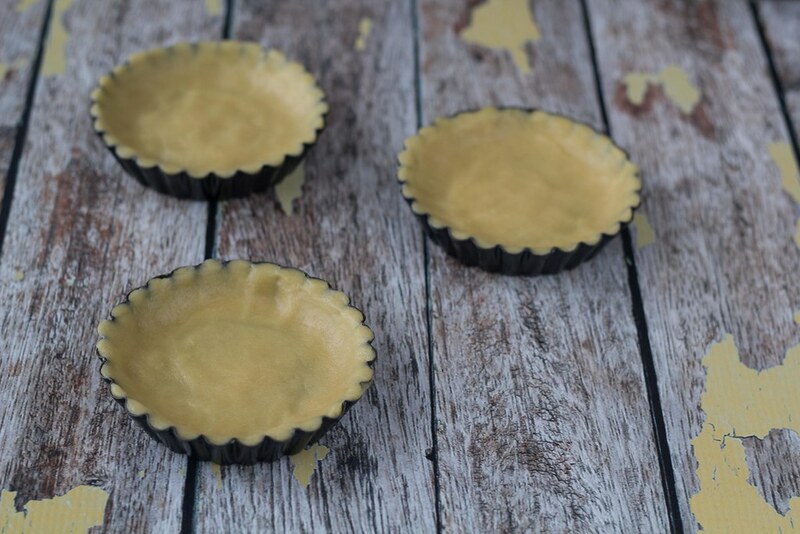 This recipes of mini pies is one of the places we used our homemade lemon curd. 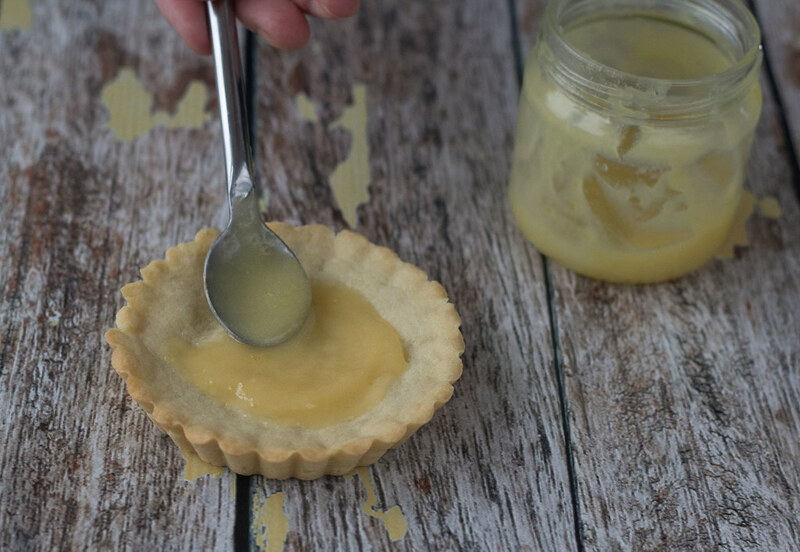 The recipe we used to make homemade lemon curd is very easy and it only requires 5 minutes of work and then 10 minutes in the microwave. 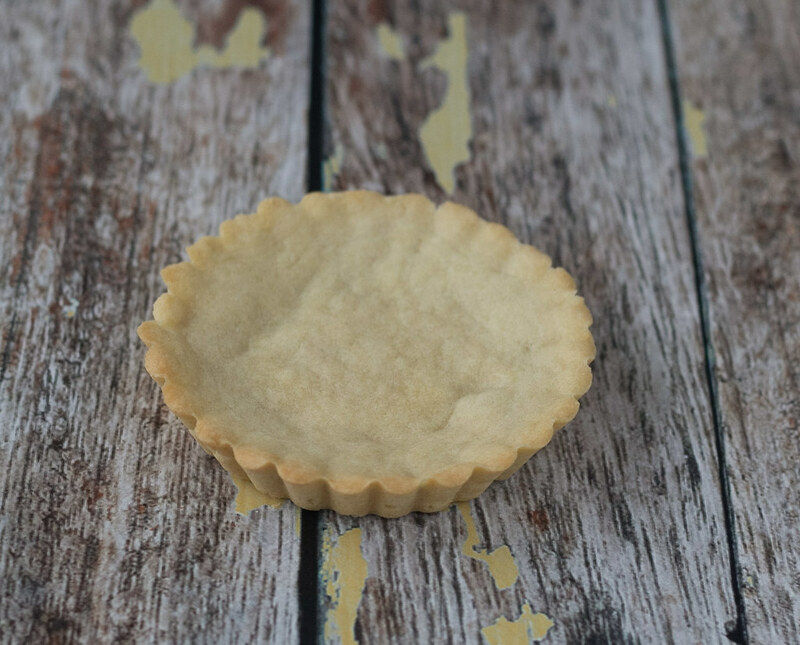 This recipe for small mini pies, or tarts, has a delicious filling made from whipped cream and lemon curd. 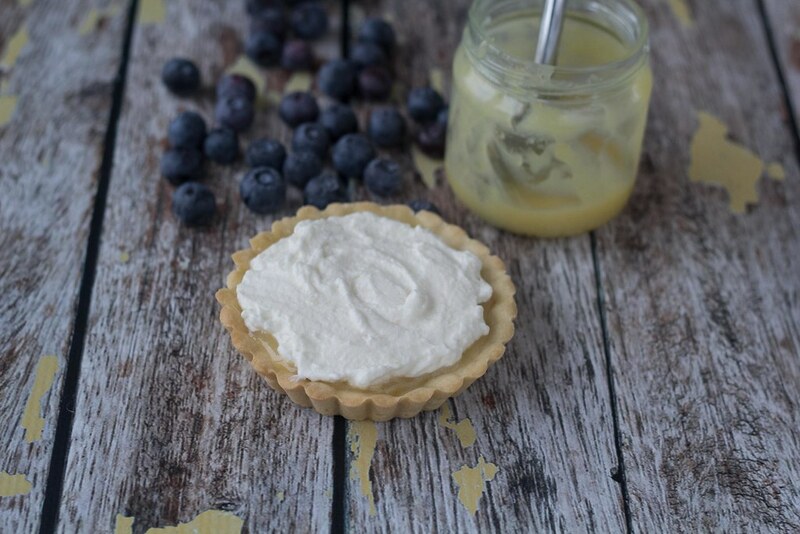 This great combination gives the pies a wonderful balance between the fresh whipped cream and the sour lemon curd. 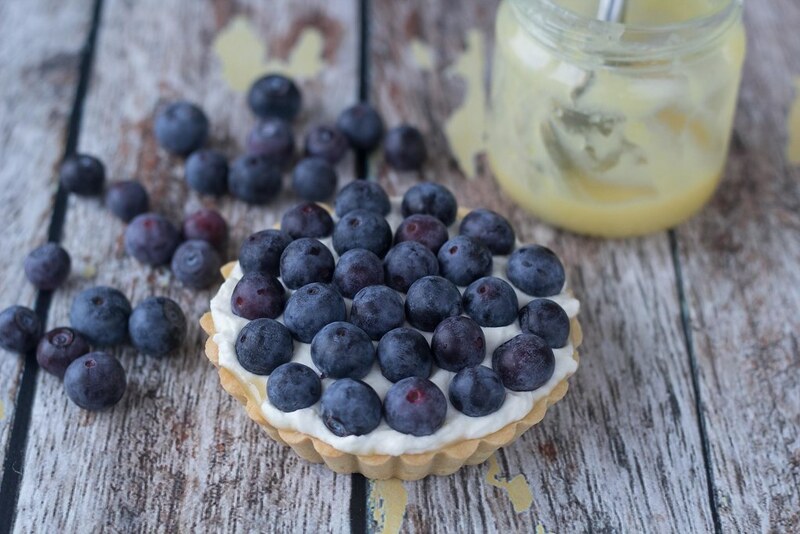 The top of the pies are decorated with small and fresh blueberries. All combined, these pies are beautiful and has a very delicious taste. The pie crust is relatively easy to make and are only made from simple ingredients. We normally make these pies as small tarts. However, it is totally up to you whether you want one large pie or several smaller. 1. Mix the all-purpose flour with the icing sugar. 2. 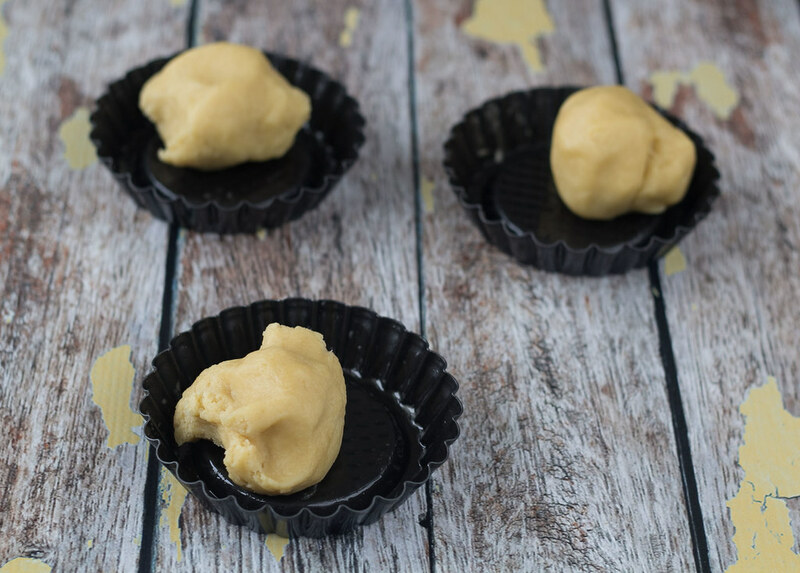 Cut the butter in smaller pieces and crumble it together with the flour. 3. Add the egg and mix it all together. 4. 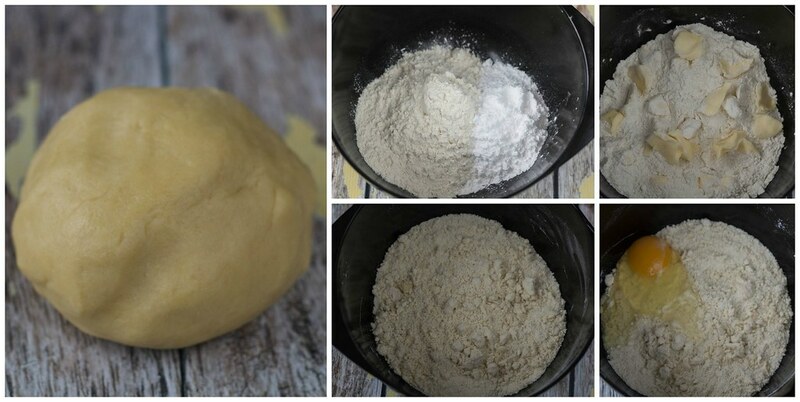 Distribute the dough into small tart/pie dishes. 5. Bake them for about 10 minutes at 180 C (360 F). 6. Let them cool off before adding the filling. 7. Whip the heavy cream. 8. 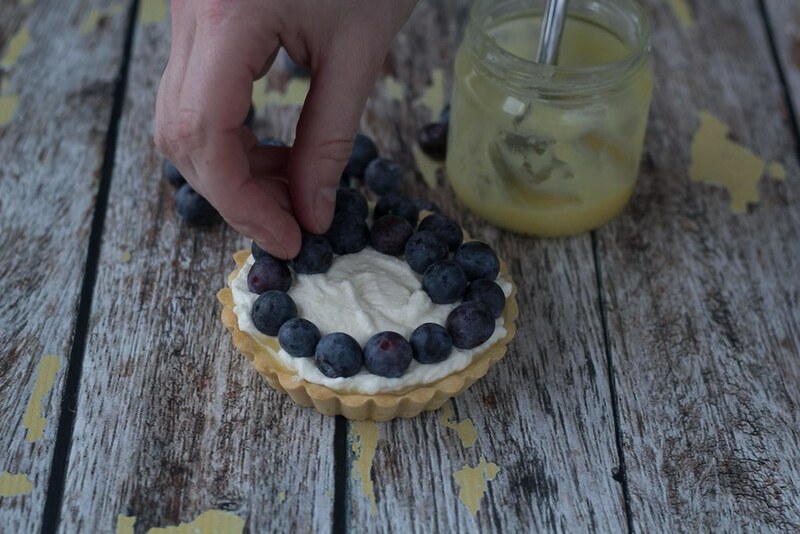 Gently mix the whipped cream with 2 tablespoons of lemon curd. Add some extra lemon curd if you want it a bit more sour. 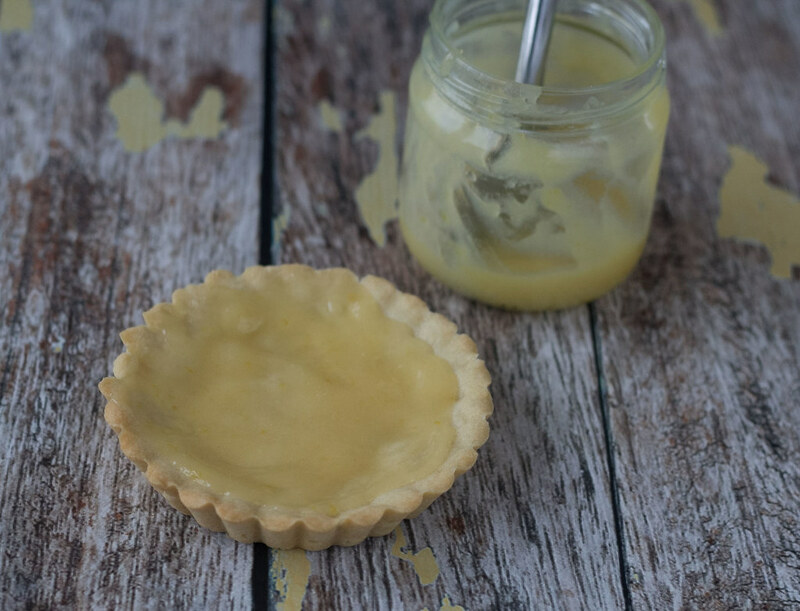 We have an easy recipe for lemon curd on our blog. 9. 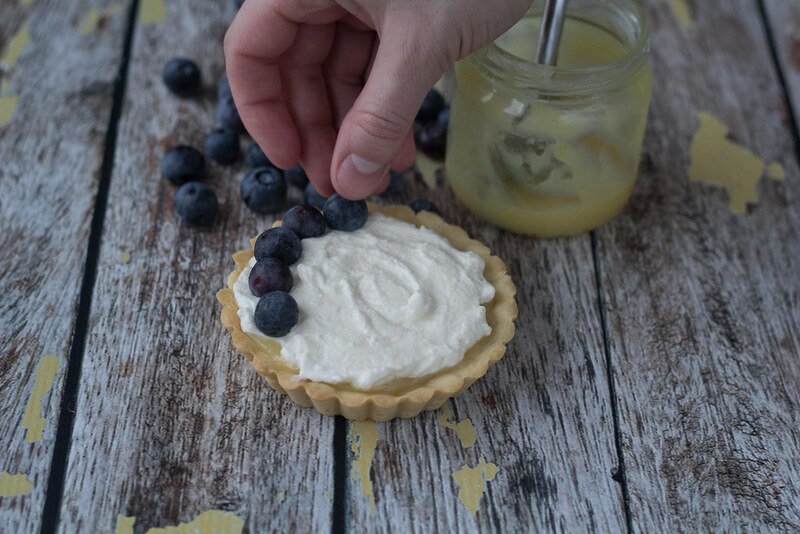 Spread out a thin layer of lemon curd on each pie crust and then add some of the lemon-curd-whipped-cream. 10. Rinse and clean the blueberries and decorate the pies. This looks adorable! 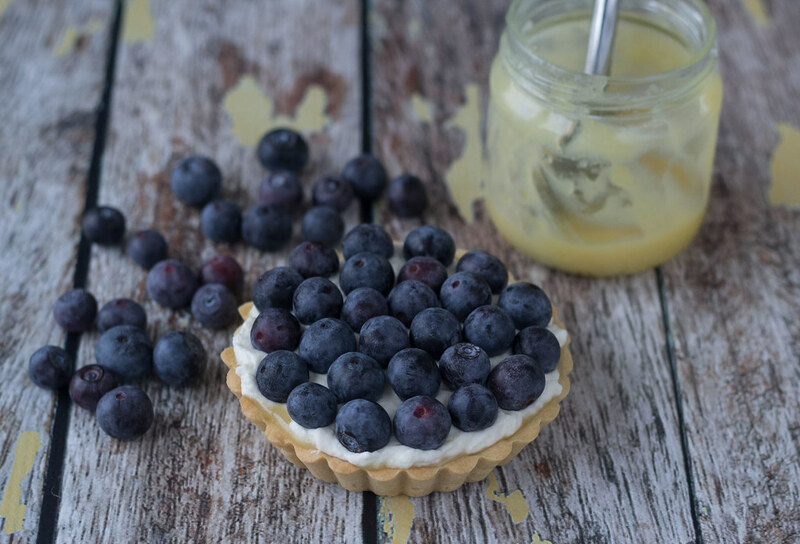 Lemon and blueberry are such a good combination too. Thank you for sharing!